Add value to your home with integrated water filtration. What are the best ones? Water is the source of life. In fact, living without it can have serious consequences within a matter of days. Thankfully, for most of us, having access to safe drinking water isn’t something we have to fight for. 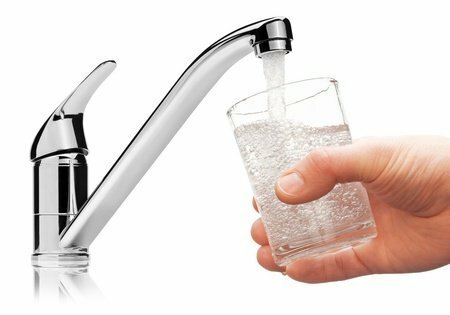 The water that comes out of our taps has been treated to make it safe to drink but some of those chemicals can cause an unpleasant taste. Some of the chemicals used can also cause people to worry about what they’re putting into their bodies. So, how can you be sure that the water you’re drinking is clean and pure? You could start buying in bottled water. However, we now know the serious cost to the environment that single-use plastic is causing. So, if you’re looking for a solution that will purify your water, put less pressure on the environment, and also add value to your home, it’s probably time to start thinking about water filters. A water filter is something that can filter out all the nasties in drinking water. It can be something as simple as a filter inside of a water jug or kettle. It can be something as impressive as a set of hot, cold, ambient, and sparkling water taps on your sink. Essentially, when you’re drinking water that’s been through a filter, you can be sure that it’s clean and pure. It will also taste better, hopefully encouraging you to drink more. There are two types of filters, chemical and physical. Physical filters sieve out large particles and chemical filters use an active material to get rid of them. Unfortunately, each method on their own isn’t 100% effective when removing pollutants. That’s why a lot of filters use a combined method approach. What types of integrated water filtration systems are there? Benchtop water filters: Small and stylish. Compact and powerful. They’re the most cost effective and economical. However, they’ll be in plain sight so if you’re looking to keep the wow factor in your kitchen, this probably isn’t the best solution. Undersink water filters: Hidden out of plain sight, undersink water filters won’t ruin the look of your kitchen and put off any potential buyers. In fact, they could add to the wow factor if used with a stylish, all singing, all dancing tap i.e. a hot, cold, ambient, and sparkling combination. Bath and shower filters: Your body is a temple, your skin the walls. Installing a bath and shower filter can remove more than 90% of the chlorine which will do wonders for both your skin and hair. Whole house water filters: We often just think of filtered water as something you drink but that’s not true. In fact, you can filter all the water throughout your house. This means that whether you’re drinking, washing your clothes, rinsing your salad leaves, or taking a bath, you can be sure the water you’re using is pure. It may even help your appliances last that little bit longer as residue is less likely to build up. Whichever one you choose to install, simply mentioning it in your property listing can help to attract buyers. Make sure you’re clear about what type of water filter system is included to really peak their interest, such as this property which is for sale in Red Hill which has a triple filter for its 50,00 litre water tank. Some medical professionals believe that our increasing illness issues are down to environmental factors increasing the acidity in our body. Tap water has a pH of around 7 but ideally the pH should be between 8-9.5. Adding an alkaline water filter to your system is a simple solution which could help raise the pH levels of your water.